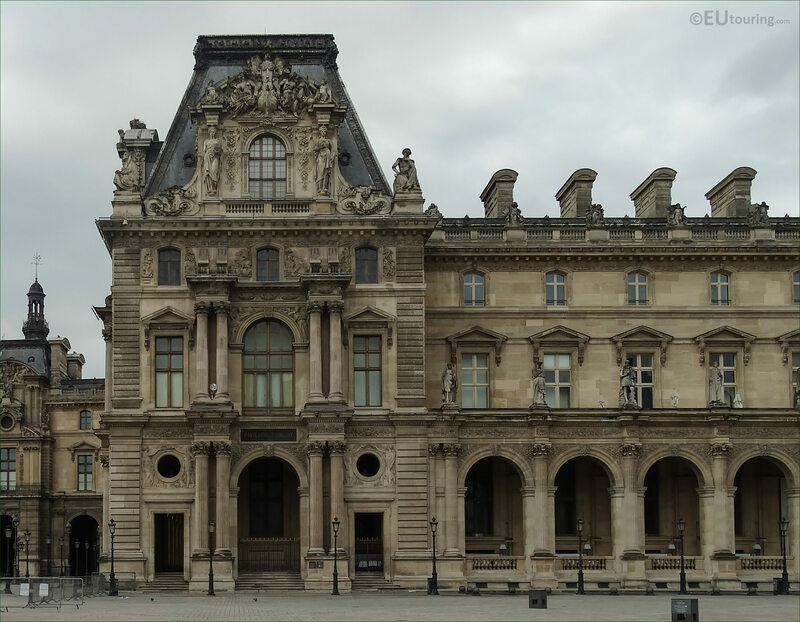 We were at the Musee du Louvre in the 1st Arrondissement of Paris, when we took these high definition photos showing a sculpture called La Science Moderne et l’Art, which was produced by Charles Emile Marie Seurre, known as Seurre the Younger. 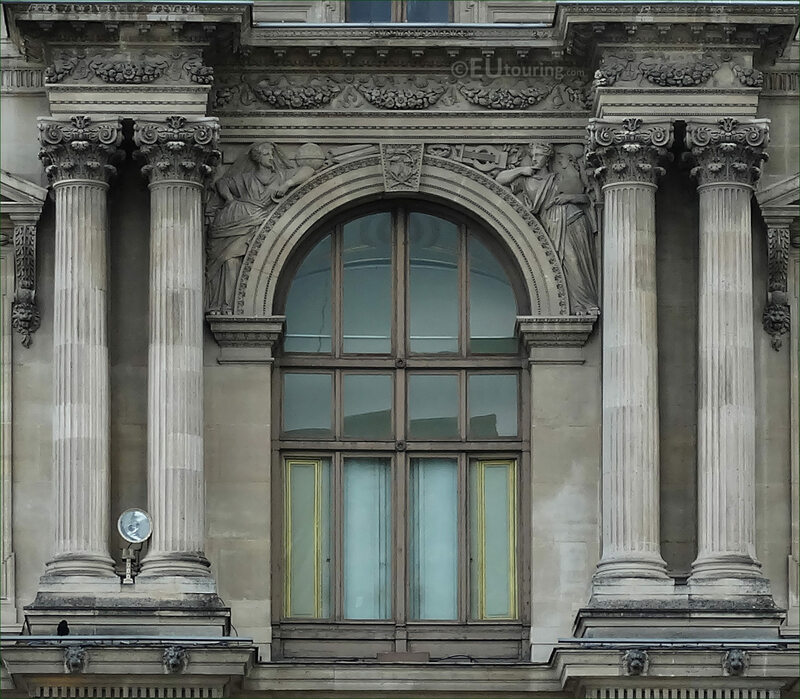 This first HD photo shows a sculpture located around a window called La Science Moderne et l'Art, which in English translates to The Modern Science and Art, and it was one of the many decorations that were added to the facades of the former Palais du Louvre back in the 1850s. Now this particular sculpture shows two allegorical figures, with the left hand side showing a globe for science and the right hand side showing a musical instrument depicting one of the arts, which were produced by Charles Emile Marie Seurre, known as Seurre the Younger, who was born in Paris in 1798 and studying under Pierre Cartellier, he won the Prix de Rome in 1824. Although Charles Emile Marie Seurre was commissioned for this and other embellishments on The Louvre, he was most well recognised for his statues during the First Empire, with probably his most famous one being that of Napoleon Bonaparte, which can be seen at another tourist attraction in Paris called Les Invalides. However, getting back to La Science Moderne et l'Art, this can be seen surrounding the middle window on the second level of the Pavillon Turgot in between the columns, and you would have to be standing in the courtyard of the Louvre Museum called the Cour Napoleon in order to see the facade shown in this photograph, as the other side of the Turgot Pavilion faces the Cour du Carrousel.